You can test that by pulling the fabric in different directions. The straight of grain has the least amount of give, the cross grain has a bit of give and the bias has the most give. Also most garment pieces are patterned so that the straight of grain runs straight up and down. This allows the fabric to "drape" gracefully along the body. So if you can't determine the exact grain, start with assuming that it's straight down the center of the pattern piece and do a mock up. When it's in fabric you'll see right away if the grain is wrong because you'll get a lot of what we call "Drag Lines" or the wrinkles that let you know where something is off. 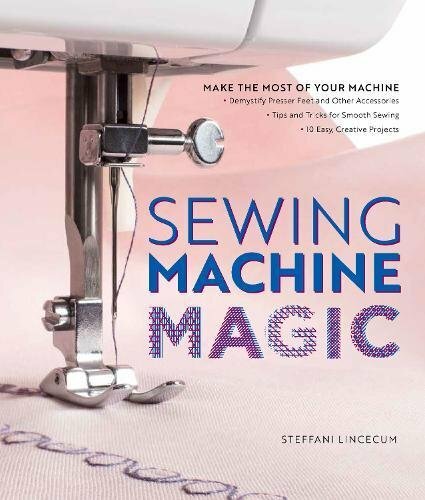 Steffani is a designer and author who lives in Wisconsin. She starting working as a professional costumer 30 years ago. Her favorite work has included the television shows Will & Grace and Third Rock from the Sun, where she fit and constructed costumes for some of her favorite actors. She now works as a draper at American Players Theatre, designs costumes for Forward Theatre Company, and teaches 4 classes for Craftsy.com. 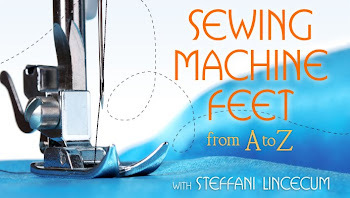 Her book Patternmaking for a Perfect Fit, is all about making patterns from finished garments, and her next book to be released September 2017 is all about getting the most out of your sewing machine. *This blog is supported in part by affiliate links. 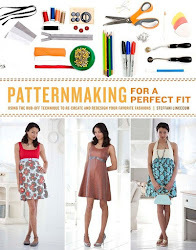 What size do I cut my pattern if I'm not all one size? Blind Hem Fabric Folding Tutorial!